Tyco Electronics México S.A. de C.V.
PORQUE NO RETIRAN AL TAQUERO QUE SE ANCLO EN EL TERRENO DEL CLUB TAHIITI ? Nuevo León or New Leon (Spanish pronunciation: [ˈnweβo leˈon] ( listen)), officially Free and Sovereign State of Nuevo León (Spanish: Estado Libre y Soberano de Nuevo León), is one of the 31 states which, with theFederal District, comprise the 32 Federal Entities of Mexico. 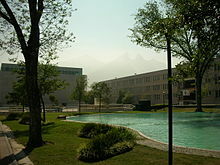 It is divided into 51 municipalities and its capital city is Monterrey. It is located in Northeastern Mexico. It is bordered by the states ofTamaulipas to the north and east, San Luis Potosí to the south, andCoahuila to the west. 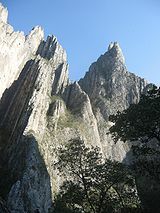 To the north, Nuevo León has a 15 kilometer (9 mi) stretch of the U.S.–Mexico border adjacent to the U.S. state of Texas. Besides its capital, other important cities are Guadalupe, Santa Catarina,San Nicolás de los Garza, and San Pedro Garza García, all of which are part of the Monterrey Metropolitan area. Nuevo León was originally founded by Alberto del Canto, although frequent raids byChichimecas, the natives of the north, prevented the establishment of almost any permanent settlements. Subsequent to the failure of del Canto to populate the area, Luis Carvajal y de la Cueva, at the head of a group of Portuguese and Spanish settlers who were of Jewish descent, requested permission from the Spanish King to attempt to settle the area which would be called the New Kingdom of León and would fail as well. Business rivals later persecuted the Carbajal family by sicking the Inquisition upon them in the 16th century. It wasn't until 1596 under the leadership of Diego de Montemayor the colony became permanent. Nuevo Leon eventually became (along with the provinces of Coahuila, Nuevo Santander andTexas) one of the Eastern Internal Provinces in Northern New Spain. Nuevo León has an extreme climate, and there is very little rainfall throughout the year. The territory covers 64,220 square kilometres (24,800 sq mi), and can be divided into three regions: a hot, dry region in the north, a temperate region in the mountains, and a semi-arid region in the south. The Sierra Madre Oriental mountain range affects in an important way the lay of the land forming the Galeana and Doctor Arroyo plateaus, the Iguana, Picachos, Papagayos, and Santa Clara mountain ranges, and the Pilón, Ascensión, and Río Blanco valleys. As for hydrography, the San Juan Riversupplies the El Cuchillo dam, which provides water for Monterrey and the metropolitan area. There are also the Cerro Prieto, La Boca, Vaquerías, Nogalitos, and Agualeguas dams.Laguna de Labradores is a major lake in Nuevo León, and Pozo del Gavilán is a natural well. Both are located in theGaleana municipality. The flora of the region includes brush and pastures in the low regions, and pine and oak trees in the mountains. The fauna includes black bears, mountain lions, javelinas, prairie dogs, foxes, coyotes, and white-tailed deer, along with smaller species.